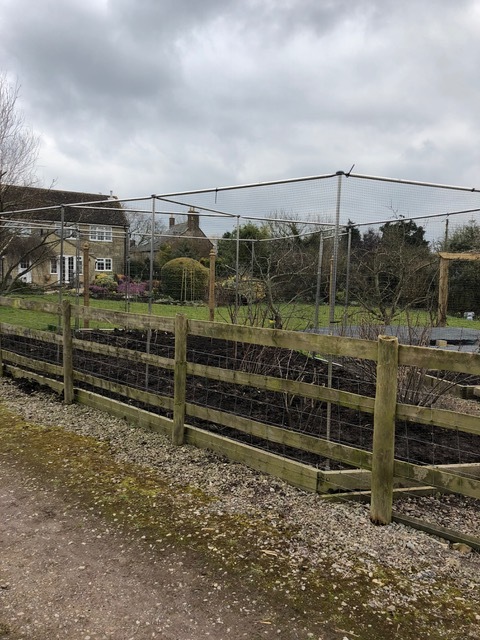 I cannot recommend this company highly enough; I wanted a fruit cage for my rather strangely shaped fruit bed and an internet search brought up their details. From the first phone call to Dave, querying whether in fact they could help me, through the process of photographing and measuring my plot, I felt 100% confident in their knowledge, skill and experience. I was encouraged towards the aluminum frame. It was made for me and arrived on time and, with the help of two taller gents and a couple of pairs of stepladders we had the frame fully installed in about 3 hours. Couldn’t have been easier. When I had queries, Dave was at the end of the phone to advise me and the customer service has been outstanding. I had one damaged part and it was replaced quickly and efficiently. It is becoming increasingly difficult to find companies for whom a customer service ethic is so strong - I am delighted to say Huck Group fall into that rare category. I will purchase from them again, without hesitation and will recommend them to anyone.